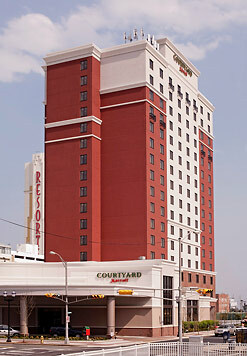 "Best Deal in Atlantic City"
Atlantic City's upscale Courtyard by Marriott is conveniently located just one block from the ocean and the historic Atlantic City Boardwalk. The hotel's location is ideal for easy access to world famous casinos, fine dining restaurants, shopping and entertainment. Enjoy the areas top performers and entertainers at the Boardwalk Hall. If you're here on business you'll be pleased to know the Courtyard Atlantic City is within minutes from the FAA Tech Center and the Convention Center. Start your day with our buffet breakfast and complimentary newspaper. 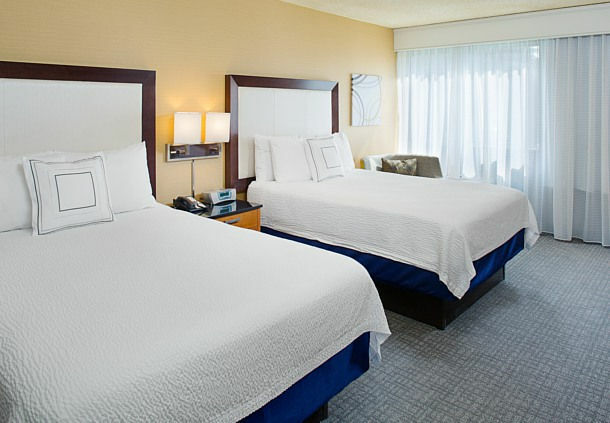 You will enjoy the relaxing comfort of our lavish bedding or unwind in our indoor whirlpool and fitness center. 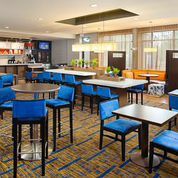 Whether traveling for business or leisure to the Atlantic City area our new Courtyard by Marriott Atlantic City is the perfect base for all of your activities. Healthy breakfast buffet or hot items cooked to order - freshly prepared and reasonably priced.